Are you looking to purchase a wind generator for your sailboat - either for the first time or to upgrade an existing one? 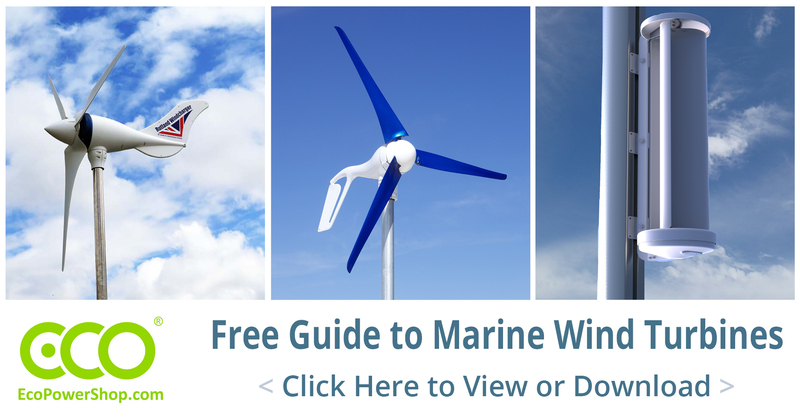 Then check out our free guide to boat wind turbines to help you choose from the huge choice of turbines available today. Our four top tips on how to find the perfect marine turbine for your boat and power needs. A useful summary of the key features of all the leading marine wind turbines available, to help you compare. Our website offers lots of further information on marine wind chargers. If you have any questions or need any further information, please contact us. Please email sales@ecopowershop.co.uk if you have any problems viewing this guide.